It’s mostly quiet on the Wii U front. The home console receives only one game, but even that is a re-release. 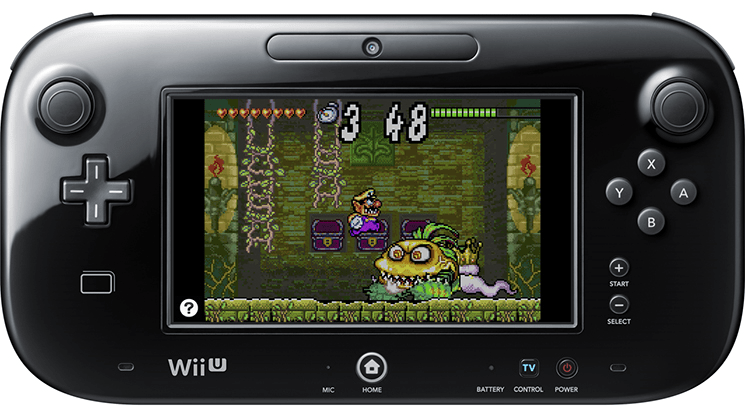 However, it is a re-release of the Game Boy Advance game, Wario Land 4. Though technically the fifth Wario Land game (counting Virtual Boy Wario Land), Wario Land 4 was well received when it released back in 2001. You can buy the game today for $7.99. While the Wii U has only one release, the 3DS (and even DSiWare) gets quite a bit of love today. We get two big indie digital releases in The Denpa Men 3: The Rise of Digitoll and Grinsia as well as Virtual Console releases for Mega Man II and Mega Man III for the Game Boy. You can actually check out our review of Grinsia right now. Along with the new releases, we have a few sales to announce. First is a sale involving Atlus games Etrian Odyssey Untold: The Millennium Girl and Etrian Odyssey IV: Legends of the Titan. This sale will go from May 12th to May 19th. In addition, the 3DS will see sales for Aqua Moto Racing 3D and Joindots games 3D Games Collection, Jewel Match 3, and Murder on the Titanic. These sales will start today. On the Wii U, Trine 2: Director’s Cut is half off until May 26th. You can check out the full press release below for the full list of games. Mega Man II™ – It’s Mega May! Every Thursday in May, a different Mega Man game (actually, two this week!) will launch in the Virtual Console section of the Nintendo eShop on Nintendo 3DS. In Mega Man II, jump and blast your way through a barrage of maniacal robotic monsters while collecting a variety of weapons and items to help fight more Robot Masters. Who is this stranger from the future called Quint? Can Mega Man reach Dr. Wily before time’s up? Suit up, power up and let’s go! Click here to check out the trailer for Mega Man II. Mega Man III™ – The sinister Dr. Wily has taken control of an offshore oil rig to drill to the center of the Earth. By reaching the molten core, he will be able to collect energy in order to power his latest invention. Sounds like a recipe for disaster, and Mega Man must put a stop to this! Join robotic dog Rush and walking suitcase Flip-Top as you progress through Dr. Wily’s fiendish fortress, battling various Robot Masters and collecting their weapons before facing the mad scientist and his final robotic creation. Click here to check out the trailer for Mega Man III. Grinsia – Grinsia, Kemco’s classic 16-bit style JRPG, follows a family of three treasure hunters who go out in search of some ancient ruins said to be full of untold riches. Their adventure begins with little incident, but little do they know that they’ll be caught up in a more sinister plot as the fate of the world hangs in the balance. Click here to check out the trailer for Grinsia. THE “DENPA” MEN 3 The Rise of Digitoll – Full and Demo Versions – THE “DENPA” MEN 3 is the third game in the expansive, augmented-reality RPG series that lets players catch and form parties of Denpa Men to conquer perilous dungeons and explore a new world. The exclusive demo is also available today. Click here to check out the trailer for THE “DENPA” MEN 3 Rise of the Digitoll. Wario Land 4 – Bask in the greedy glory of treasure hoarding as you hop, roll and zombify Wario through 20 huge, puzzle-packed levels. This critically praised platformer sees our stubby anti-hero in search of gold, jewels and riches beyond imagining. But when his insatiable need for loot lands him in a twisted pyramid of traps, he’ll need your wits to help him get out. Click here to check out the trailer for Wario Land 4. Joindots – For a limited time, Joindots is discounting select games in the Nintendo eShop on Nintendo 3DS, including 3D Games Collection, Jewel Match 3 and Murder on the Titanic. This offer ends at 9 a.m. PT on May 22. Trine 2™: Director’s Cut– Now through 9 a.m. PT on May 26, experience the fantasy action and physics-based puzzles of Trine 2: Director’s Cut for 50 percent off in the Nintendo eShop on Wii U. Aqua Moto Racing 3D – For a limited time, Aqua Moto Racing 3D is 25 percent off in the Nintendo eShop on Nintendo 3DS. This offer ends at 9 a.m. PT on May 29. ATLUS – ATLUS wants you to pack your map and go exploring! 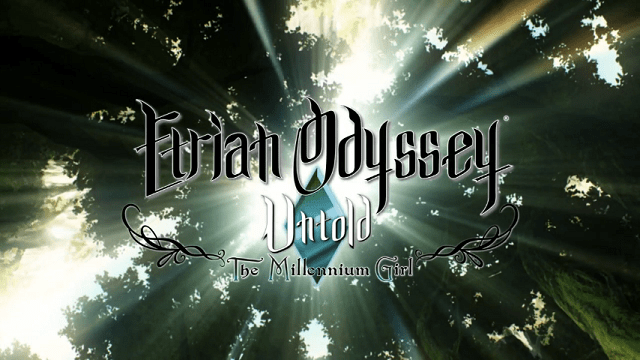 Starting 9 a.m. PT on May 12 through 9 a.m. PT on May 19, Etrian Odyssey™ Untold: The Millennium Girland Etrian Odyssey™ IV: Legends of the Titanare on sale in the Nintendo eShop on Nintendo 3DS. In addition to video games available at retail stores, Nintendo also offers a variety of content that people can download directly to their systems. Nintendo adds new games weekly to the Nintendo eShop on the Wii U system, as well as the Nintendo 3DS, Nintendo 2DS and Nintendo 3DS XL systems, the Nintendo DSi™ Shop for the Nintendo DSi system and the Wii™ Shop Channel for the Wii console. Remember that Wii U, Wii, Nintendo 3DS, Nintendo 3DS XL, Nintendo 2DS and Nintendo DSi feature parental controls that let adults manage some of the content their children can access. For more information about this and other features, visit http://www.nintendo.com/wiiu, http://www.nintendo.com/wii, http://www.nintendo.com/3ds or http://www.nintendo.com/ds.